This weekend has been lovely, despite the horrible cough and cold that I've had. We haven't really done anything special, we have just spent quality time together as a family. Which for us is special! On Saturday we went scrumping down in my parents garden. At the bottom of their garden they have a lovely orchard which is full of cooking apples and an abundance of plums. All ready to eat and cook with. So we went equipped with a couple of carrier bags and went fruit picking. In the future we would love to have fruit tree but it will take years to become anywhere near as established as my mum and dads. I now have plenty of plums to cook with. I am going to get started on my Christmas jams and chutneys this week so they will all come in! A few years ago I made hampers full of homemade jams, marmalades, chutneys and sweets but I have not had the time to do them again since the twins arrival. This year, I feel, that now the twins are bigger I can do them again and I cannot wait to get started! We continued to potter about on Saturday, I got bread made and my mother in law came for the night so we treated ourselves to a yummy Indian take away. Saturday was lovely, but it was Sunday which I really enjoyed. Thanks to my mother in laws help I was able to have some quality kitchen time without running back and forth to the children. So I cooked a slap up Sunday roast chicken with all the trimmings! It was a real luxury for me to have that peaceful kitchen time, I loved it! We finished off our meal with a plum and apple crumble using the lovely fruit that we picked on Saturday. After dinner we took the three children into the garden. They love being out and having the freedom to run around and explore their surroundings. 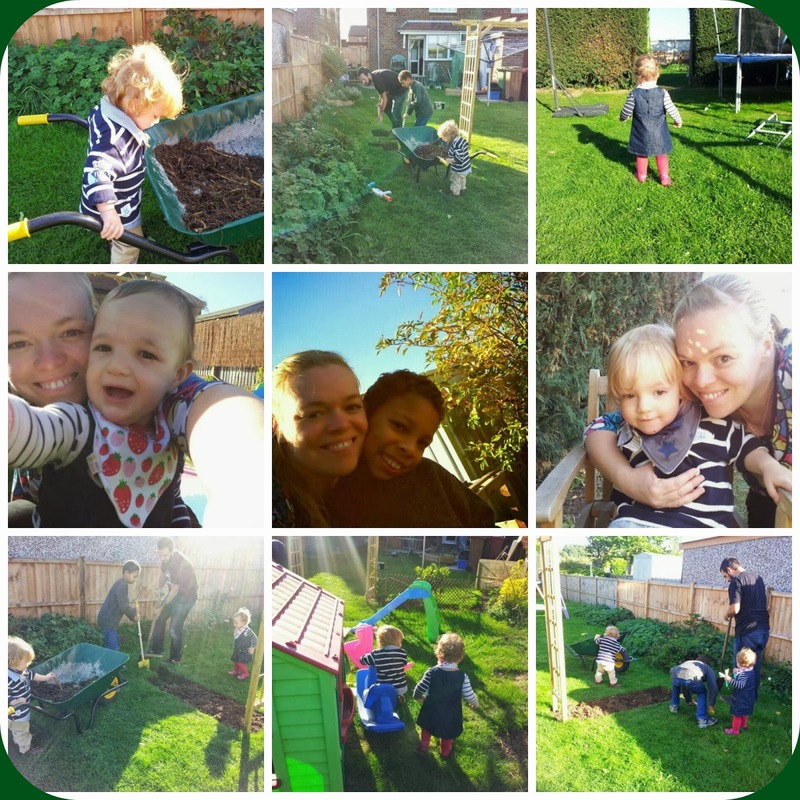 Whilst hubby got some new soft fruit bushes planted and a flower bed dug out I ran up and down the garden after the exploring twins. Joseph was his dads little helper, he loves spending time with his dad, and I love watching them both together. I really does warm my heart! The twins went up and down, to the swings, to the slides, to their play house, to their rocking horses and back and forth. I cherish the moments that we have like this, when all five of us are together enjoying life. We then ended the our weekend with cheese and wine once the children were all in bed. This is what weekends are about.